Turn your backyard a mini amusement park with the Giant Rollercoaster Ride. 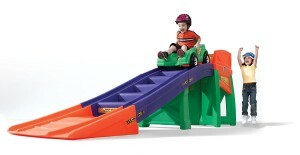 This huge colourful kids roller coaster toy is designed for preschoolers but still a hit with older children. Climbing the stairs to reset the ride fosters balance and develop gross motor skills while giving kids plenty of exercise during outdoor play. 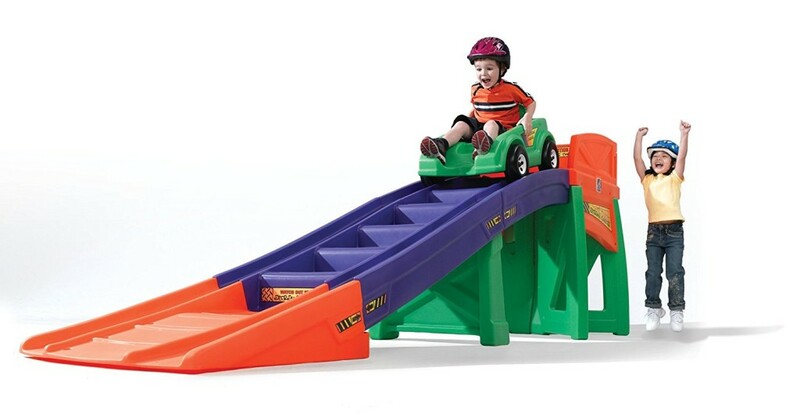 Durable enough to be left outside year round, this toy roller coaster will be an instant backyard hit.